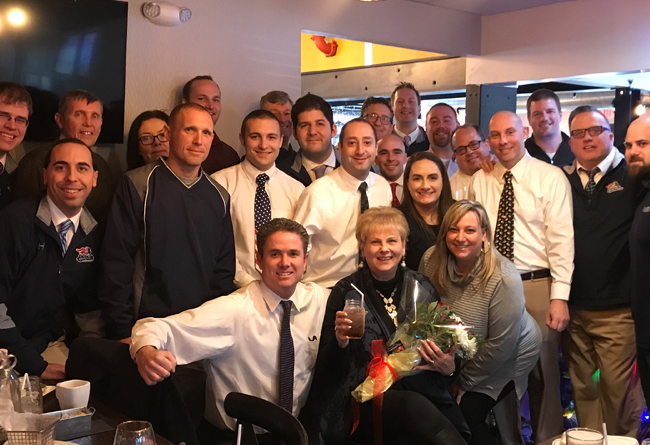 (Bridgewater, N.J.) – The Somerset Patriots are ending 2018 with an end of an era as long-time receptionist Lorraine Ott is retiring after 20 years with the team. Ott became part of the Somerset Patriots family when she was hired as a game day ticket office employee in the first season at TD Bank Ballpark in 1999. After the season, she became the team’s full-time receptionist, a position she held until her retirement on December 20th. The life-long Manville, New Jersey resident was also responsible for coordinating the many requests the Somerset Patriots receive for ticket donations for fundraising events.